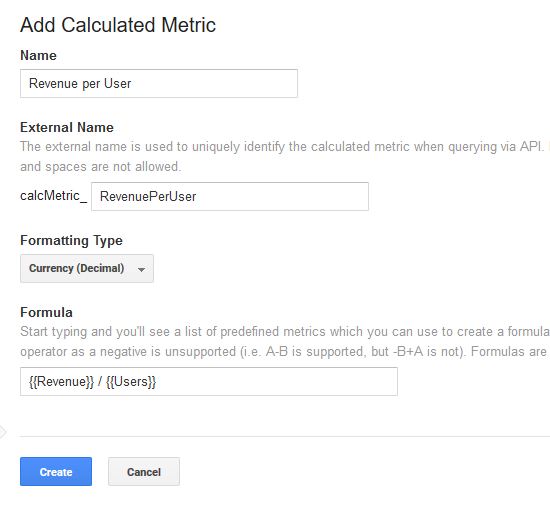 A long awaited and quite awesome feature is finally here in open beta for all Google Analytics accounts: Calculated Metrics! As a long-time power user I’ve been longing for this for quite some time since I had to resort to spreadsheets or API-based solutions (like our Agency Dashboard tool) when I needed to calculate my own metrics based on the standard metrics GA has. When things like Revenue per User, Conversions per User or Site Searches per User where of interest there was no other option. Now there is, thanks to calculated metrics. Calculated metrics allow you to compute metrics based of the standard metrics in Google Analytics in order to come up with data that better aligns with your measurement needs and helps you answer the important questions that drive action much easier. Once you create a calculated metric it starts functioning as any other metric in your reports – gathering data from the moment you define it onward. There are some differences, though, as you can use calculated metrics in custom reports and custom dashboards, but sadly not in Custom Segments (as of moment of writing at least). Also you’re limited to just 5 calculated metrics per view for free accounts (50 for Premium accounts). I guess this is one more reason to use up that view quota. Read below on how to set up your first calculated metric and 10 awesome examples of calculated metrics you’d want to use. 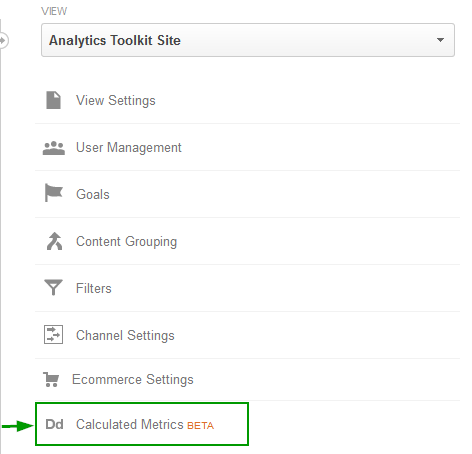 How to set up a calculated metric in Google Analytics? Now this is the harder part. First enter a name for your new metric. Make it short, but descriptive. As you can see GA automatically fills in the “External Name” field based on your input in the “Name” field. You can, however, type in this field directly as well, but bear in mind the restrictions that apply. The External Name can NOT be changed once the metric is created, while you can change the Name anytime you want. Next you should select the proper formatting type. Available values are “Float”, “Integer”, “Currency”, “Time” and “Percent”. These should be pretty self-explanatory. Make sure to select the proper type though, otherwise it may lead to unpredictable or just plain wrong results. Don’t copy the above formula, as you’d need to use your actual goal name. Don’t copy the above formula, as you’d need to use your actual goal names. One of the best calculated metrics for e-commerce sites. If you have Enhanced E-commerce set up this metric will give you the average number of product list clicks per session. Can be altered to be user-based as well. While this is similar to #8, it includes product views that didn’t occur as a result of clicks on product lists, e.g. a user has landed on your product view page. If you have Enhanced E-commerce set up this metric will help you estimate how many products are viewed on average in order to complete a transaction. We hope these metrics give you good start in using calculated metrics in Google Analytics. If you’re still wondering how they will appear in your reports, read on. How to use calculated metrics? The metrics you’ve created would be grouped under “Other” in the metrics drop-down. Unfortunately we can’t use them for custom dimensions or in-report filters, but we hope this functionality will be implemented in Google Analytics in the months to come. 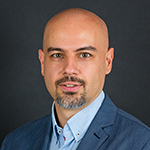 This entry was posted in Google Analytics and tagged calculated metrics, google analytics, universal analytics, user based metrics. Bookmark the permalink. Both comments and trackbacks are currently closed.